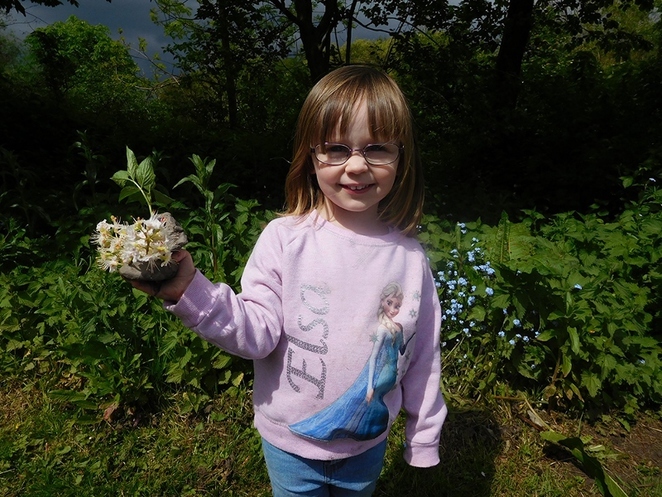 Children and their parents happily let their imaginations run wild, and their creative juices flow, after accepting an invitation to take part in an unusual outdoor event at a Staffordshire park. 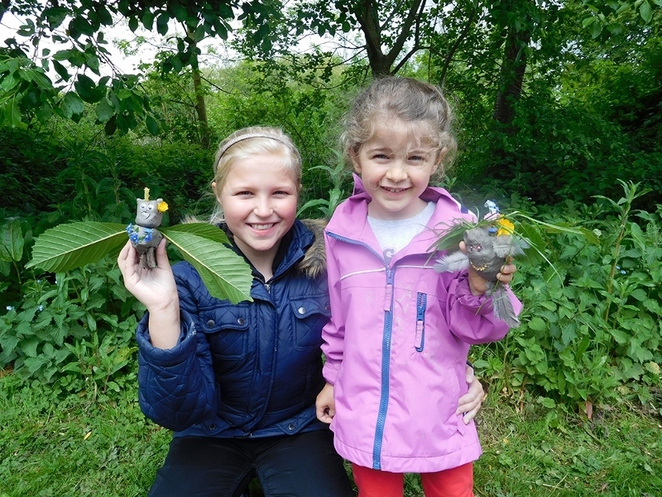 More than two dozen would-be 'sculptors' took up the challenge of making simple, tiny models as part of a special Twig Man Day workshop at Beacon Park in Lichfield city centre. 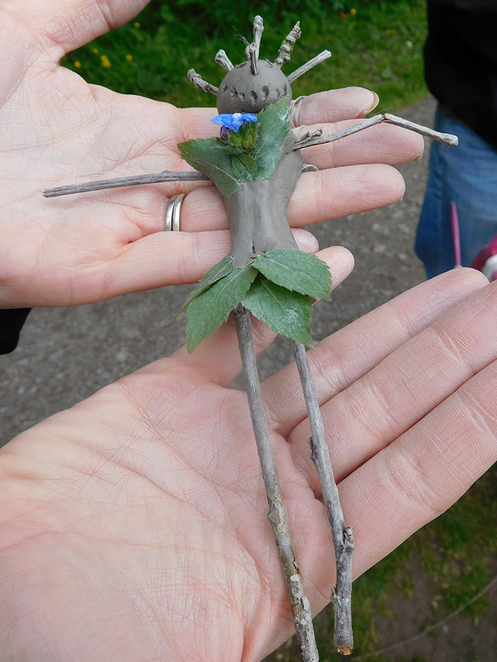 The event, which ran at Beacon Park from 11am until 3pm on Saturday 13 May, was the first Twig Man Day activity to be held at the beautiful public open space which covers more than 70 acres of picturesque gardens and open space. But the 26 people of all ages who took part did not disappoint with their combined collection of small sculptures which were made out of air drying clay and any other items, mainly natural, that they could lay their hands on. The Twig Man Day started out at the edge of the park's woodland. 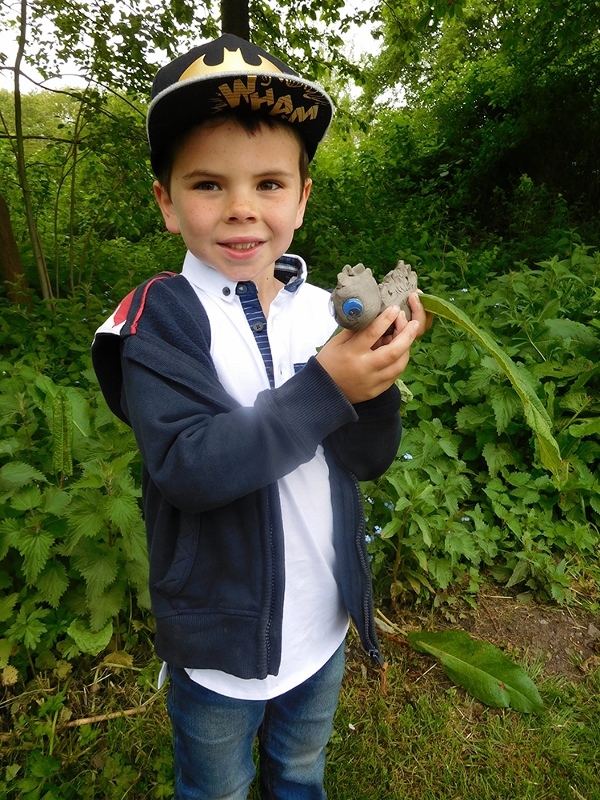 Participants, who paid just £1 for each sculpture they made, were then each given a lump of clay and some 'googly' eyes, and then sent off on a scavenger hunt to find natural objects such as twigs and leaves to add to their clay figures. All children had to be accompanied by an adult in order to take part. The completed sculptures ranged from a pterosaur, which was a large flying reptile that existed between 228 million and 66 million years ago, to a unicorn. And the creativity did not stop there with other amazing sculptures made on the day also including a unicorn, a fairy, a swan, a hedgehog, various human figures, and even a one eyed monster going by the name of Phillip! 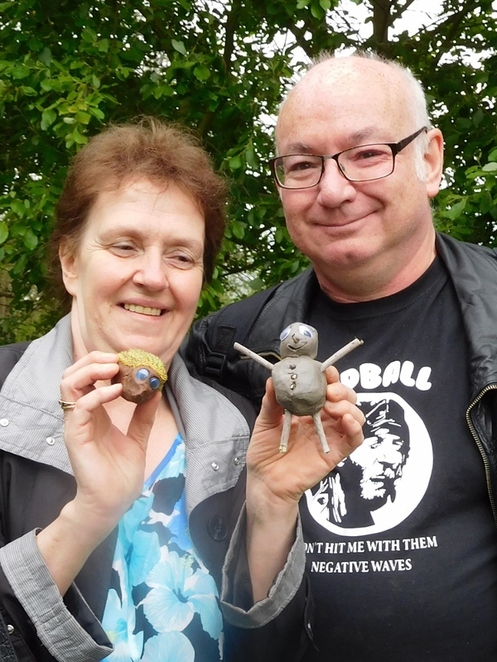 Ruth Witczak, from Lichfield District Council's parks team, said: "It was a lovely event, despite the threat of rain, and brilliant to see the beaming smiles of people delighted with their creations. It was also a pleasant surprise that adults joined in the fun as well as the children. Woods and green spaces often bring out creativity in us, and this activity was a good way to connect nature with art." Beacon Park, which has been providing vital recreation space for local people since it was created in 1859, runs a variety of activities and events throughout the year. To be kept up to date about forthcoming activities and things to see then why not subscribe to ParkLife, Lichfield District Council's quarterly e-newsletter featuring news from Lichfield Historic Parks. Further information is available online.